When it comes to getting your blood flowing, nothing beats going for a run (well, aside from mustering the courage to tell your boss they're an a-hole). Still, we can bet the vast majority of the population doesn't exactly jump out of bed at the thought of doing cardio. 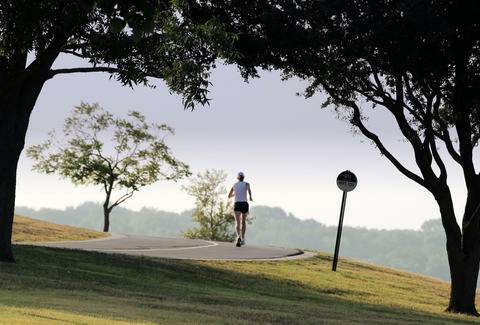 To that end, we’ve compiled a list of the seven most beautiful runs in DFW to give your running a kick, from people watching at Katy Trail to bird watching at Cedar Ridge. 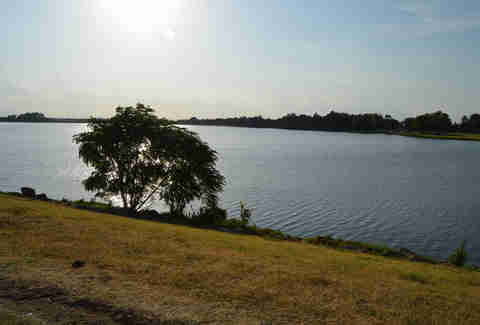 Some describe White Rock Lake as an oasis in the middle of Dallas. The park boasts a stretch of over 1,015 acres and more than nine miles of trails around the lake. The trail offers breathtaking views of Downtown Dallas, and if you’re lucky enough to catch the sunset on the lake, it’s astonishing. Most runners start their journey at the Big Thicket cabin, where you can follow the yellow line all the way around the lake on an asphalt trail. The loop is slightly over nine miles -- and look out for cyclists, they take no prisoners. If you get thirsty (which you will), there are water fountains all the way around the trail -- you can have that cold beer later. What was once an old abandoned railroad line is now one of the most iconic trails and destinations in Dallas. 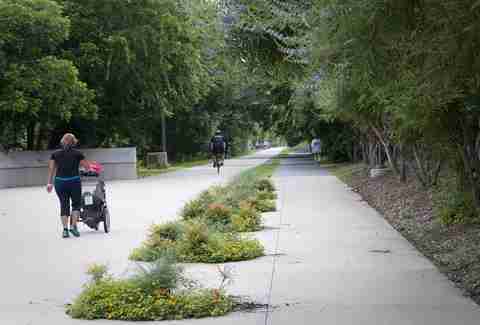 The trail extends 3.5 miles from SMU at its north end to American Airlines Center in the south. The trail features a 12ft-wide concrete trail and an 8ft-wide soft-surface running path that's best suited to running or walking, which is the best way to enjoy the beautiful scenery. And by “beautiful scenery” we mean the attractive and fit people that flock to the trail every day. The best way to get to Paradise City is to park near the north end of the Katy Trail in the parking lot near Knox St. Be sure not to park in business parking, or you might be running home instead of driving. 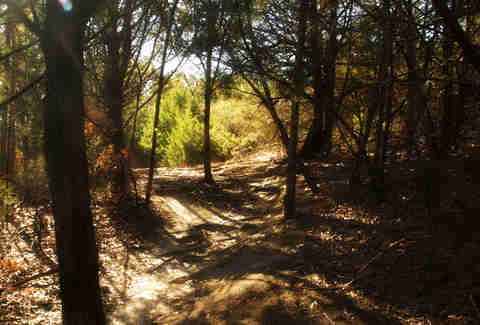 Arbor Hills Nature Preserve is a hidden gem in the middle of suburban west Plano -- 20 miles north of Downtown Dallas. The 200-acre wooded nature preserve has paved pathways that loop you through the wilderness with amazing views. If you so desire, you can veer off the beaten path, as you have access to unpaved hiking and mountain-biking trails. Just take proper precaution; you're sharing the preserve with snakes (yes, snakes) and other unruly characters. If snakebites aren't enough to get you excited, the park offers three trails with distances from 0.4 miles to 1.3 miles, so there’s something for everyone. Weekends are busiest, so get there early (as in 5am); if you’re a midnight runner, just like Dexy was, get there before the park closes at 11pm. This 8ft-wide trail is best suited to runners, so you don’t have to worry as much about a head-on collision with a Cannondale. 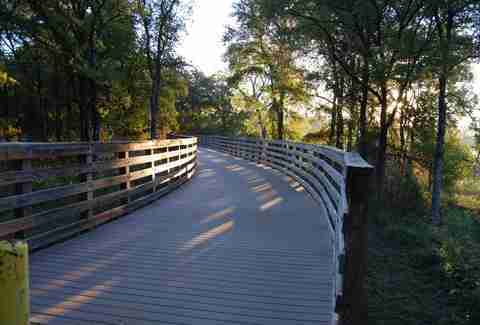 The trail is 3.5 miles in length and offers a scenic opportunity to run around the perimeter of Bachman Lake. The trail is busiest on weekends, but if you’re more concerned about fitness than people watching, go during the week. Let’s just say this is the perfect trail to cue up “Eye of the Tiger” on your playlist and do your best Rocky impression without anyone watching. Access to the trail is from Northwest Highway and Lakefield Blvd. 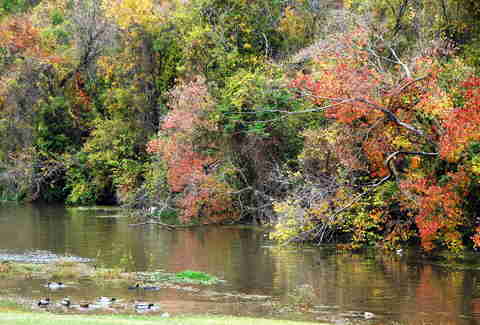 Cedar Ridge Preserve is located just about 20 minutes southwest of Downtown Dallas. 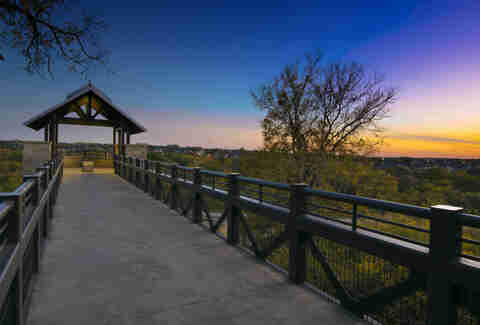 This slice of hill country in Dallas offers unique and beautiful terrain with eight miles of trails and scenic views of Joe Pool Lake. There is a total of 13 trails offering short sprints to the longest trail at 1.9 miles. For those looking for a cardio challenge, the trail provides a variety of inclines and descents. Whatever you do, don’t forget to stop and look around at the wildflowers, birds, and the north Texas blackland prairie ecosystem in all its glory. Feel free to invite your four-legged friend; so long as they're on a leash, dogs are welcome. To get there, take I-35E south from downtown Dallas. Keep right at the fork to stay on US-67 S for Cleburne. Exit Danieldale Rd and turn right. Stay on it until you see the Cedar Ridge Preserve sign on the left. Park at the Educational Center. Cedar Ridge Preserve requires no fee but suggests a $3 donation. The park is closed on Mondays but is typically open all year long, from 6:30am to 8:30pm. This intermediate trail is located near Lake Worth in Northwest Fort Worth and offers a variety of loops with some tough footing and elevation gains. The stretch of scenery is incredible, and there’s even a waterfall for your viewing pleasure. Be aware that the trail can be hard to navigate at times with a lack of markers, so bring a printed-out map, or just bring your dog to help navigate; the trail is dog-friendly. Be sure to use the bathroom before you run unless going al fresco is your thing, and BYOW (bring your own water) because there are no fountains on the trail, besides the RaceTrac gas station several miles down the road. The 9.5-mile North Shore Trail on the north side of the lake is for those who prefer running (off-road). The trail will take you over moderate to difficult, rolling, and wild terrain from Rockledge to Twin Coves Park. The scenery from the shores and bluffs high above Grapevine Lake is worth stopping to enjoy, so don’t miss it. The trail is accessible all year, but may sometimes close due to heavy rain and mud. Be prepared to roll up your socks and get dirty. David Maez is a writer at Thrillist and consistently gets his blood flowing by not doing cardio. Follow him here: @davidfmaez.